Cheltenham Town Hall is an early-20th century assembly rooms in the heart of Cheltenham, on Imperial Square. Unlike most town halls, it is a public venue and not the seat of the borough council, which is housed in the nearby municipal offices. Cheltenham Town Hall is the largest entertainment venue in Gloucestershire. 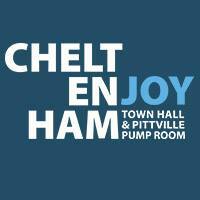 Including Pittville Pump Room, our venues host everything from comedy to orchestras, weddings to festivals.